On Tuesday morning, AEI’s Robert Doar and Bruce Meyer led a panel discussion on reexamining the data on extreme poverty. Dr. Meyer presented his new Comprehensive Income Dataset, which aggregates several different types of survey and administrative data to provide a more accurate picture of the conditions of low-income Americans. He noted that many studies pointing to high amounts of extreme poverty in the United States — characterized by individuals living on less than $2 per day — fail to account for important benefits such as in-kind transfers, public assistance, and unreported earnings. After adjusting for these discrepancies, he finds that extreme poverty is nearly nonexistent in the US. Additionally, Dr. Meyer noted that many families previously counted as poor have actually risen out of poverty entirely. The panelists commended Dr. Meyer and reaffirmed the importance of the new data set in framing the poverty conversation. Some expressed concern, however, with technicalities of the aggregating process. For instance, while noting the importance of in-kind transfers, Laura Wheaton of the Urban Institute and James Ziliak of the University of Kentucky emphasized how cash transfers can help poor communities. They encouraged policymakers to focus on the practicality of various forms of assistance when designing antipoverty programs. Some poverty scholars have contended that millions of Americans live on just a few dollars per day. Others report that such extreme deprivation is exceedingly rare in the US. Reliable information on this topic is crucial for understanding how we can combat poverty in the US. Please join AEI as Dr. Meyer and a panel of experts discuss Dr. Meyer’s recent research on extreme poverty, how it interacts with the social safety net, and how it has been inaccurately estimated in the past. For more information, please contact Tal Fortgang at [email protected], 202.862.5837. Robert Doar is the Morgridge Fellow in Poverty Studies at AEI, where he studies and evaluates how free enterprise and improved federal policies and programs can reduce poverty and provide opportunities for vulnerable Americans. Before joining AEI, he worked for Mayor Michael Bloomberg as commissioner of New York City’s Human Resources Administration, where he administered 12 public assistance programs, including welfare, food assistance, public health insurance, and help for people living with HIV/AIDS. 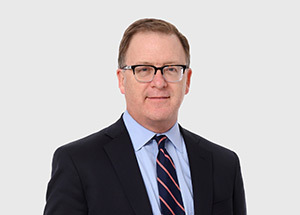 Before joining the Bloomberg administration, Mr. Doar was New York state commissioner of social services, helping make New York a model for the implementation of welfare reform. Bruce D. Meyer is a visiting scholar at AEI, where he focuses on poverty, inequality, and social safety-net programs. Concurrently, he is the McCormick Foundation Professor at the University of Chicago’s Harris School of Public Policy. He is also a research fellow at the National Bureau of Economic Research. His faculty appointments include tenured professor of economics at Northwestern University and visiting professor of economics at Harvard University, Princeton University, and University College London. He has also advised the US Department of Labor and the US Bureau of Labor Statistics. The author of many book chapters, Dr. Meyer has been widely published in academic journals. He is also a former editor of the Journal of Labor Economics. He has a Ph.D. in economics from the Massachusetts Institute of Technology and an M.A. and a B.A., also in economics, from Northwestern University. Laura Wheaton is a senior fellow at the Income and Benefits Policy Center at the Urban Institute, where she specializes in the analysis of government safety-net programs, poverty estimation, and the microsimulation modeling of tax and transfer programs. She codirects the Transfer Income Model, version 3, microsimulation model project and uses the model to simulate eligibility and participation in means-tested government programs, examine the effect of government programs on poverty, and estimate the effects of proposed policy changes to safety-net programs. Scott Winship is the director of the Social Capital Project, an initiative created by Sen. Mike Lee (R-UT) as vice chairman of the US Congress Joint Economic Committee. Previously, he was the Walter B. Wriston Fellow at the Manhattan Institute and a fellow at the Brookings Institution. Dr. Winship has testified before Congress on the issues of poverty, inequality, and employment, and he served as an adviser to Gov. Jeb Bush’s 2016 presidential campaign. 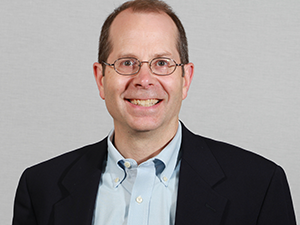 James Ziliak is founding director of the Center for Poverty Research and founding executive director of the Kentucky Research Data Center at the University of Kentucky, where he holds the Carol Martin Gatton Endowed Chair in Microeconomics in the department of economics. He is also a research fellow at the Institute for Fiscal Studies. His research focuses on labor and public economics, with a special emphasis on US tax and transfer programs, poverty measurement and policy, food insecurity, and inequality.